Prior to assuming position of CEO of Money.Net, Morgan was Global Head of commodities at Bloomberg, LP. 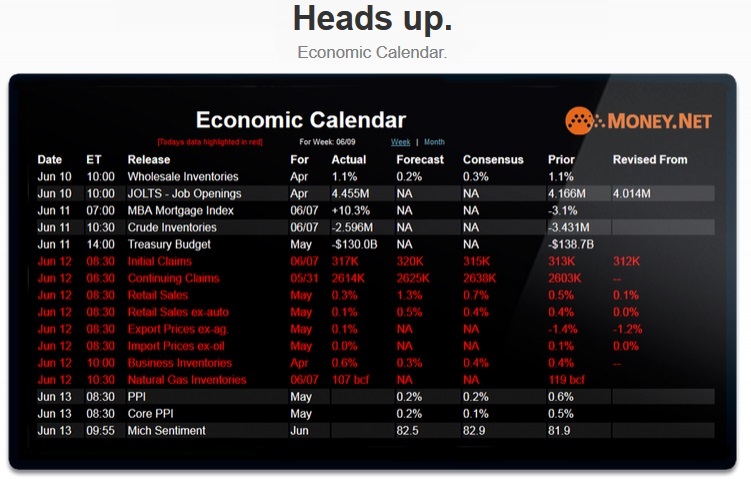 Morgan managed development of the Bloomberg Professional terminal. At Bloomberg, Morgan used his market experience to build a suite of revolutionary, unique, and innovative products. Before Bloomberg, Morgan spent 15 years running trading desks, as manager and head trader, for banks including Citibank, Bank of America and Standard Chartered, in the US, UK, Australia, and Singapore. Morgan is the author of the book 'Oil 101', a best-seller explaining the oil industry. How did you get into the finance-tech industry? My education was in financial technology. While in University in Ireland, where I studied finance and computer science, I applied for an internship at Citibank in New York and was accepted. After a six month training program I joined I was offered a position as a junior commodity trader. Markets began to move toward electronic trading in the early to mid-1990s. This was when I began my career. However, commodity markets were the last of the four major asset classes (equities, FX, bonds and commodities) to move from guys standing in trading pits to electronic trading. As commodities trading was until recently a relatively human to human endeavor, over phone and text chat, there was a financial advantage in leveraging technology to be able to spot arbitrage opportunities much more quickly and with much larger datasets than an individual could handle. So in order to get a competitive edge, I was always the commodities trader with a team of software developers finding trading opportunities. Tell us about Money.net. What inspired the idea and what is your vision for the company? There is a ridiculous situation currently at banks, brokerage houses and other places where people deal with finance. You’ll see one guy with a market information terminal and then ten people sitting next to them with either nothing or legacy tools that haven’t changed in 15-20 years. There has also been such little competition that market data terminals are now well over $20,000 per individual license. This means that very few people, even at major banks or brokerages, have access to market information. This concentration of information is not good for markets. Coincidentally, the cost to build and deliver a financial platform has collapsed. There is now, for the first time, the opportunity to give everyone, not just a few traders, access to full market terminal information and professional tools at a fraction of the price of legacy terminals. What strategic partnerships/marketing strategies have you implemented that have attributed to Money.Net's success? The most strategic partnership we have is with our customers. Our customers are our best salespeople. Once one person on a trading floor gets Money.Net they almost always tell their friends – especially as we are so affordable. Our biggest marketing strategy success to date has been asking customers for word of mouth referrals. Market data terminal interests have diverged totally from their customers. Most data terminal providers are focused on their own short term profitability and survival and have totally forgotten about customers’ long term needs. There is also a feeling amongst market terminal subscribers that their trust has been mishandled. You only get one go around, make it count. Markets thrive when information is transparent. However, market transparency requires market information to also be affordable. Your greatest success as founder/CEO of Money.net? Most difficult moment-how did you overcome and what did you learn? Most difficult moment: Everything has been so positive so far that our main challenge is in learning to run much faster than we expected due to growth. The lesson I have learned is that once things start to move, particularly in the technology space, you have to trust and plan for continuing to grow rapidly. Stay focused on your customers, not competitors. We offer a lot of autonomy and trust. Unlike other places that box employees in or creep them out with big brother oppressive monitoring. As a result we get a lot of innovative, creative ideas. Food: I love American New England food, particularly lobster rolls. Drink: White tea. At the right moment, this can be complex, soothing and invigorating. The perfect brew when staring down the last drink left on earth. ‘The Wildfowler’ by Roger Moran. It is about an Irish wildfowler in the 1910s. Very interesting and funny anecdotes. Business: John D. Rockefeller. He played the long game better than anyone. Personal: Neil Armstrong. Calmness under pressure. Improving my ice hockey skills. A large expansion during 2015. Hopefully we can get our customer count over 1 million.